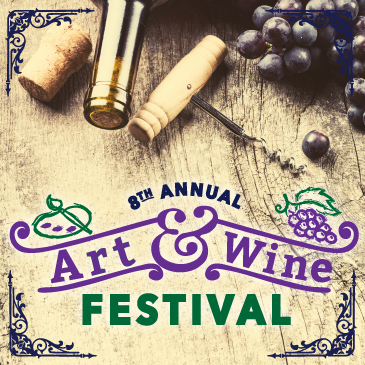 Spring forward and mark your calendars for one of Sykesville’s most popular events, the 8th Annual Fine Art & Wine Festival. Brought to you through the generous contribution of our parent sponsor, The Town of Sykesville, presenting sponsor, Carroll Community Bank, and our supporting sponsors, GranitePro LLC and Assist2Sell; this outstanding annual event features local artists and artisans alongside regional wineries and wine-makers, plus great food and live entertainment. The Sykesville Fine Art & Wine Festival is a must-see attraction for locals and visitors alike. Set along the Town’s historic Main Street, the Festival draws thousands of visitors each year to browse an exciting marketplace of fine art and phenomenal local wines. The Festival also showcases the local business community, embodying an atmosphere of old-fashioned, small town charm. Enjoy live music while you sip from a collectible wine glass ($25, includes unlimited samples) and make your rounds through the heart of Historic Sykesville. 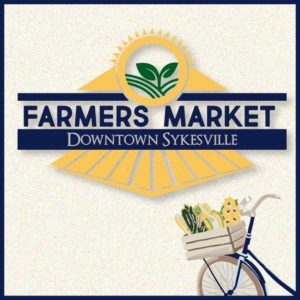 The Downtown Sykesville Connection administers the nationally accredited Main Street program for the Town of Sykesville, and has 501(c)3 designation as a component fund of the Carroll Community Foundation. In partnership with the Town of Sykesville, the Association strives to ensure a thriving community and vibrant economic climate for businesses, residents and visitors. Please consider volunteering to make this event a success! Friendly reminder: please use our 3 FREE offsite parking locations! More to discover at the event!